What is the easiest way to cut greenhouse gas? Biking instead of driving? Install solar panel? Eat Local Products? 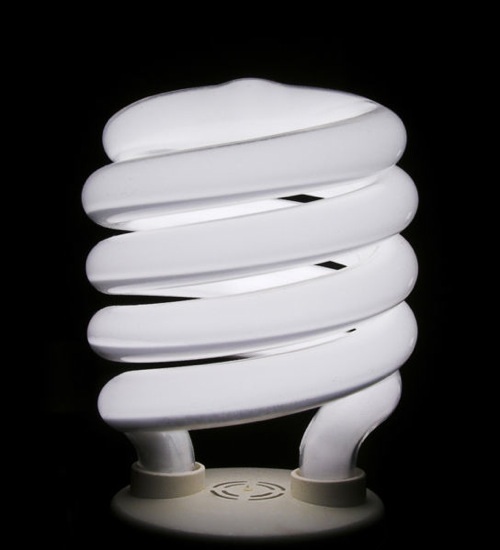 The answer is start using Compact Fluorescent Lamp (CFL). Lighting accounts for about 20% of all electricity use in the country and about 15% of electricity use in our homes. The typical household spends about $110 per year on lighting and most of this is wasted on inefficient incandescent light bulbs, that convert 90% of the electricity to heat and only about 10% to visible light. CFLs use between one-fifth and one-quarter of the power of an equivalent incandescent lamp, which means it require less energy from coal-burning power plants and thus reduce greenhouse gas emissions. Research states that each CFL will cut carbon dioxide emissions by about 1,300 pounds over its lifetime. If every household in the U.S. replaced a burned-out bulb with an ENERGY STAR qualified compact fluorescent bulb, it would prevent greenhouse gas emissions equivalent to that from nearly 800,000 cars. It would also save enough energy to light 2.5 million homes for a year. Thats why Australia plans to phase out the use of incandescent lamps by 2010 and Canada provinces Ontario and Nova Scotia are also going to ban incandescent lamps in 2012. Despite all these facts, the current market share of CFLs in the United States is only about 6 percent while compared to 80 percent of CFLs adoption rate in Japan and 50 percent in Germany. So how come CFLs are not widely adapted yet? Energy consumption experts say it does not pass the “Wife Test“. Lots of people do not like the initial flicker, slow warm-up and weird color of CFLs. Popular Mechanics ran a lab test with seven popular CFLs against a 75 watt incandescent bulb to see which CFLs got the best color temperature and lux. Environmental Defense has a interactive form to help you find an energy-saving light bulb.